Nice! 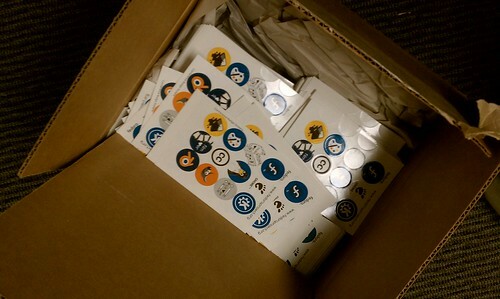 I wish I were there to pick up some of those awesome stickers. A stamp is like infinite stickers! 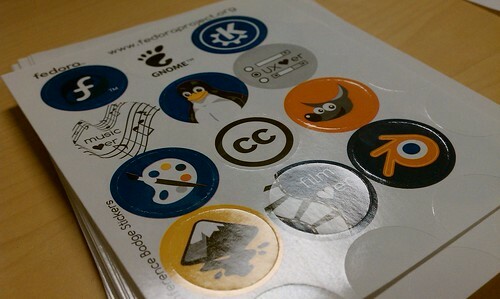 If you want I can send you the Inkscape one after the event is over? 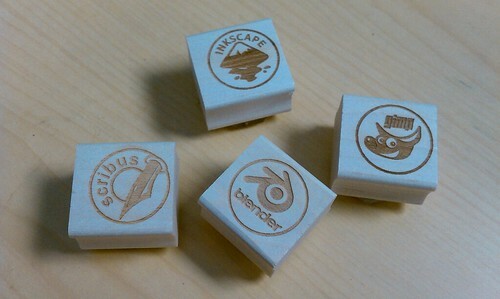 the stamps remind me of the 3D printer – they are also OpenSource! Maybe that would be cool to create AND produce stuff as Open as it can be… just a thought. 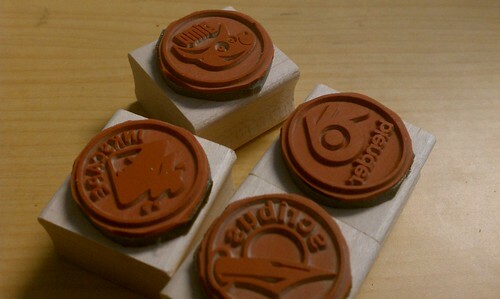 The stamps look really cool. How were they made? Hi Roel! I sent high resolution PNG files created in Inkscape to rubberstamps.net and they handled the rest. They are really high-quality! They only cost $5/piece; they are 1″ wide. Supercool! Did you send the version you put on the website? Which resolution should I export? On rubberstamps.net, are these the ” Art-Mounted Stamps”? Thanks for the fast reply. And thanks for the PNGs, this saves a lot of trouble. I looked at the CD booklet, but on the scribus file (I changed the xml to: , because you’re using the bleeding edge and the default version cannot open it) the blue is much brighter.. Is that just the screen, or is that going to affect the print? It looks bad on the screen, but the prints are good indeed!